In the next several weeks I will expand on my thoughts about how I think about evolution. This week I will discuss my thoughts on the formation of the phenotype. In the following weeks I will talk about the forces of evolution and how these should be generalized away from the gene-centric view that currently dominates evolutionary biology. I find it useful to think of the phenotype being determined by what might be called a node of patterning interactions (patterning node for short), and non-heritable information nodes. The patterning node is the product of a set of heritable information nodes. I call these “nodes” in analogy with network theory. That is, we can think of the heritable nodes “determining” the patterning node, which in conjunction with the non-heritable nodes determines the phenotypic node. This is, of course, very similar to the traditional portioning of the phenotype into genetic and environmental components; however, this traditional partitioning is simplistic for at least two reasons. First, there is a tendency to use a short hand of describing a “gene for something”, such as a gene for flower color, or a gene for altruism. There is also a tendency to think of the genotype as the sum of the genes, and that the phenotype is the genotype as seen through a filter of the environment. Both of these views miss the point that although the genes do represent transmitted information, the effect of that information on the phenotype is the result of a complex system of interactions among all of the heritable and non-heritable nodes. My friend Dr. Wade (Indiana University, Bloomington) uses the metaphor of card games. First, consider the child’s game of war in which each card has its own value. In the game of war each player turns over a single card, and the highest card wins. In this case we can, for example, say that being dealt an ace of spades is always good. 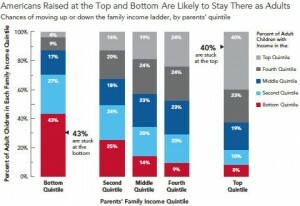 Contrast this with the game of poker. In this case it is the value of the card in the context of the other cards in the hand that is important. The ace of spades would indeed be a good card to get if the other cards in the hand were the ten through king of spades (making a royal flush); however, it might not be such a good card if the other cards were the 5 through 8 of diamonds (making nothing). In both cases the card conveys the same information. In the case of poker, but not war, the meaning of that information changes depending on the context (the genotype) of the other cards in the hand (modified from a forthcoming book by Michael Wade). Genotypes are much more similar to a poker hand than to a war deck. That is genes convey information, but the meaning of that information cannot be interpreted outside of the genotypic concept in which it is found. However, the “five-card stud” version of poker I described above is also simplistic. A better metaphor might be Texas holdem. Texas holdem is a variant of poker in which (I only played this once or twice, so I am reading the rules) two cards are dealt face down to each players, and ultimately five cards are dealt face up, and shared by all players. The goal is to make the best five-card hand out of the seven cards available to you. In this metaphor the face up cards are the environment, and affect the value of everybody’s hand. 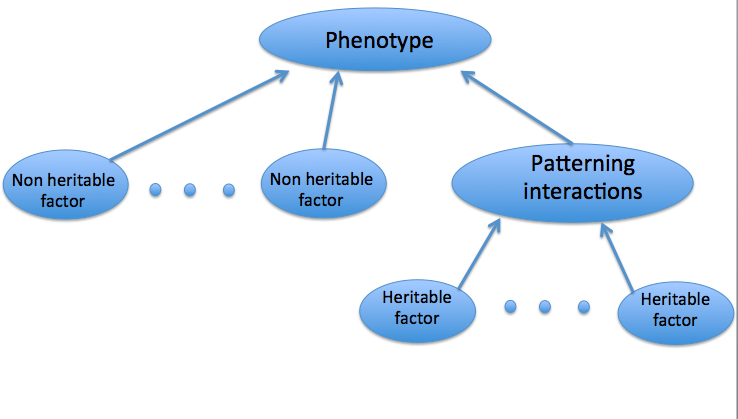 The final hand (phenotype) is a mixture of the genotype (the down cards) and the environment (the up cards). Importantly, the value of a down card (gene) is entirely dependent on the expression of the up cards (environment) and the other down cards (the genotype). Regardless of how apparently obvious the above metaphor may be, it is an example of why it is important to make a distinction between the information that is assembled (e.g., genes and environment) and how that information is actually used in the patterning process that creates the phenotype. The second reason for this partitioning, is that there is a tendency to distinguish between “genes” and “environment”. One problem with this is that there are many things that can cause heritability, and the phenotype will be affected by all of them. In addition to genes there can be inheritance of environmental factors. 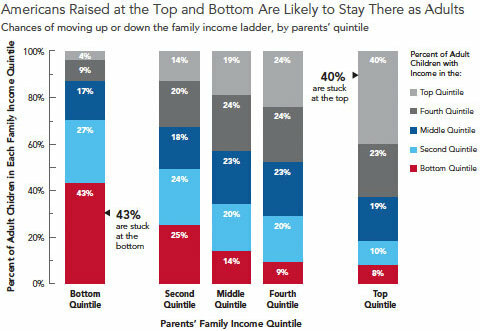 To take a human example, an individuals income is strongly affected by their parents income. 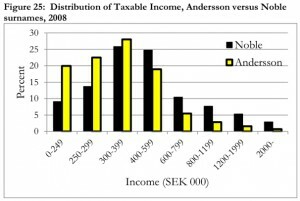 Lest one think that this is a short term affect, the wonkblog (http://www.washingtonpost.com/blogs/wonkblog/wp/2012/10/18/how-your-last-name-will-doom-your-ancestors-centuries-from-now/) describes a study in which such wealth effects are shown to last for centuries. 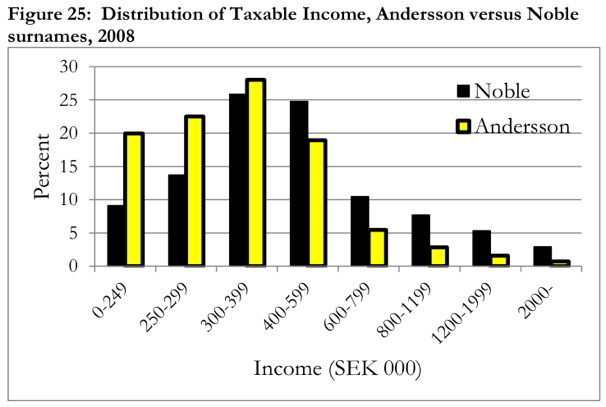 In the figure below the Noble’s took over the Andersons (names from Swedish nobility) over 1000 years ago, an advantage that they still maintain. Thus, to pretend that in humans inherited wealth and social standing are not important influences on the phenotype makes no sense. The other aspect of this problem is that the “environment” enters into evolution in two manners. First, aspects of the environment influence the phenotype, as I have been discussing in this post, and second, fitness is determined by the interaction of the phenotype with the environment. It makes it much easier to distinguish these two uses of “environment” if I call the first non-heritable nodes and the second environment or environmental forces. It is tempting to think of this as a very depressing view in which nothing can be known about anything – that is, it is a complex system interacting in a complex manner producing a complex and unpredictable outcome. However, one of the interesting features of complex systems is that they often have simple behaviors. Under most circumstances this underlying complexity will give rise to simple behaviors that can lull us into the belief that the phenotype can be described by simple genetic systems. This entry was posted on Saturday, May 4th, 2013 at 10:00 am and is filed under Evolution and the phenotype. You can follow any responses to this entry through the RSS 2.0 feed. You can leave a response, or trackback from your own site.